Start your collection here! To prevent traffic jams, these free models are available through my vendors only. 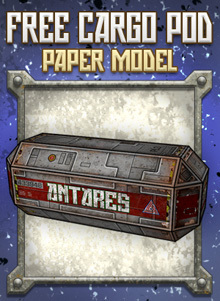 You'll need to have an account at DriveThruRPG, Ecardmodels, Paizo, RPGNow or Wargame Vault to download them. 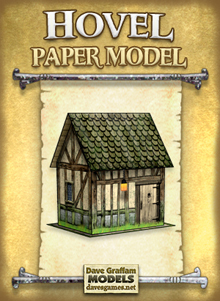 Modeling Tip: If you're new to paper modeling, or just new to Dave Graffam Models, try the Hovel first. Next, try the Coach House. Finally, give the Observatory a spin. 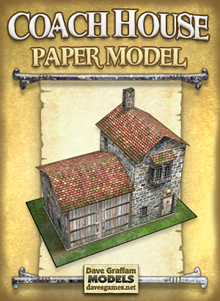 This will build up your confidence and skill, and will expose you to most of the building techniques used in my model kits. 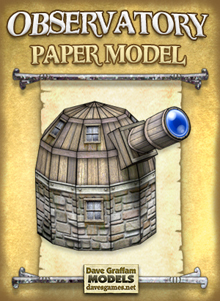 If you're an experienced papercrafter, start anywhere you like.